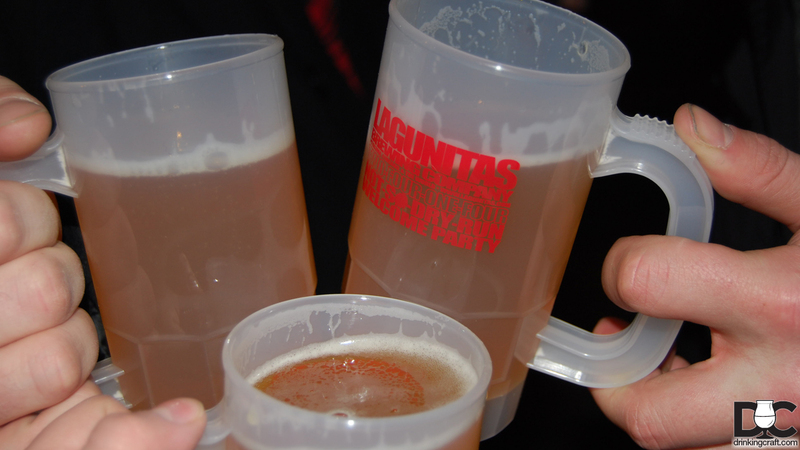 The hottest new brewery in Chicago is Lagunitas. They have everything. 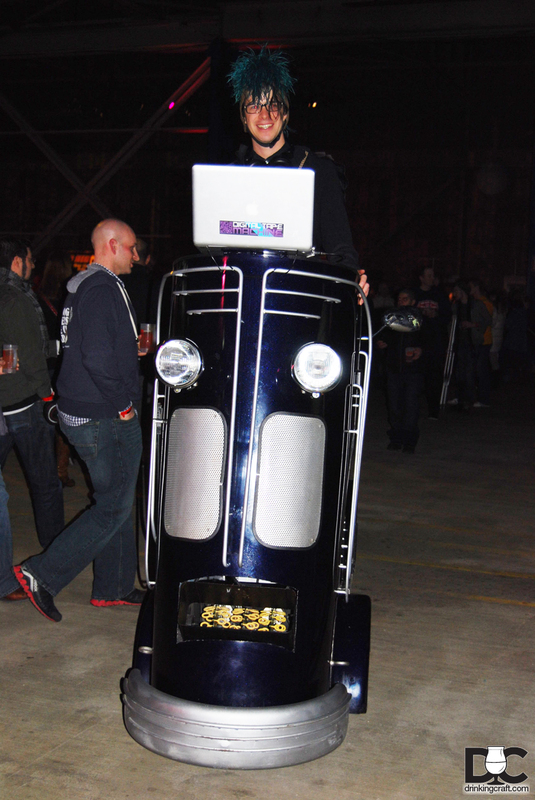 Fire dancers, killer IPAs, mobile rave parties, fresh hops, trapeze artists, guys on stilts, walking beer dispenser… What’s a walking beer dispenser? It’s when a girl is strapped into a large metal contraption that has a lever with a teapot on the end. But it doesn’t pour tea….not at a Lagunitas party anyway. 3 Cheers for 3 Beers! Lagunitas Two Four One Four Not So Dry Run party felt like an underground NYC club that Stefan might attempt to explain to Seth Meyers on SNL’s Weekend Update, but that you really have to go to in order to get the full experience. 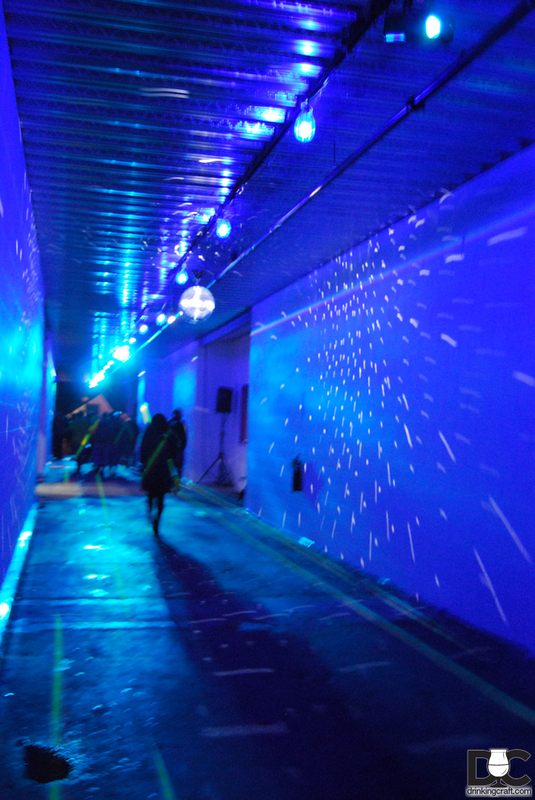 When I arrived, I was directed down a long hall that had purple lights, disco balls, and Willa Wonka’s trippy ‘Wondrous Boat Ride’ song played on repeat. That was before I even had any beer and I knew I was in for quite an evening. 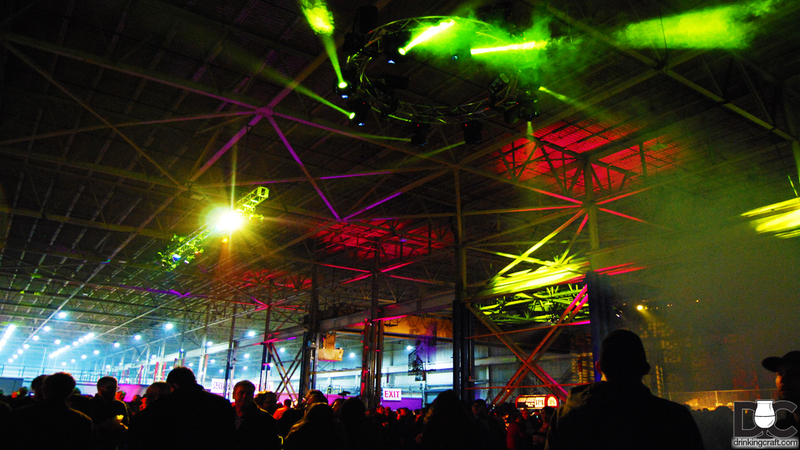 The entire party was on the warehouse floor, which will not be accessible even to brewery tours, once Lagunitas opens in May. 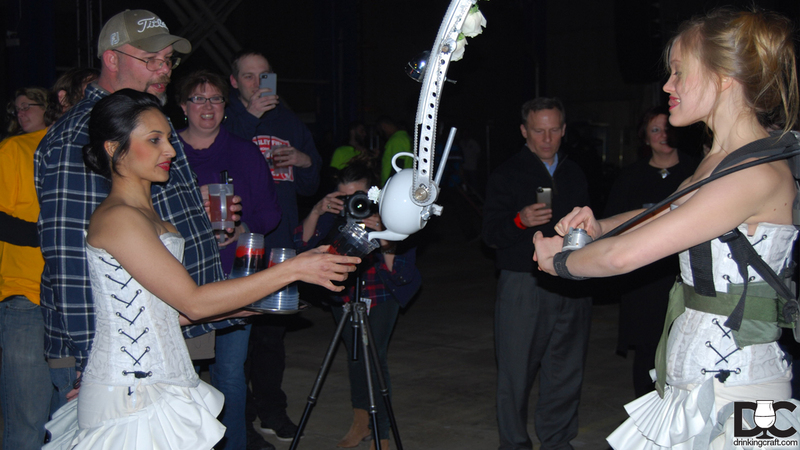 The first thing I saw was the walking beer dispenser, which I promptly requested a beer of, and then took pictures of because it was just too surreal not to. Immediately following, checked out some food. 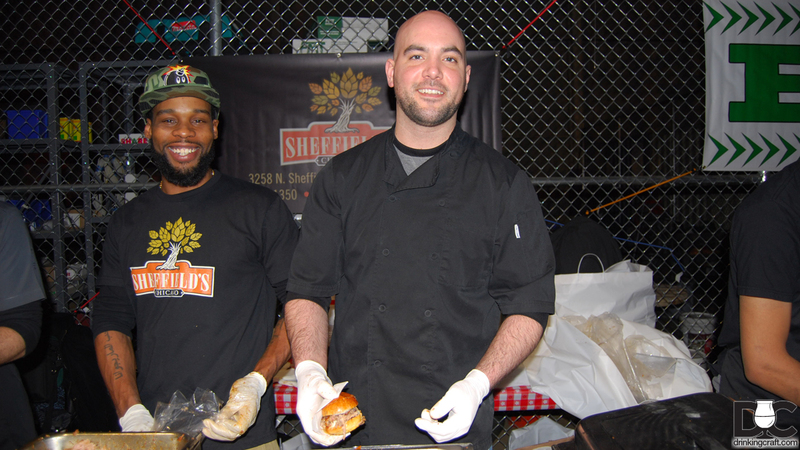 Sheffield’s BBQ pulled pork was first up. Wow…just wow. It was SO good. 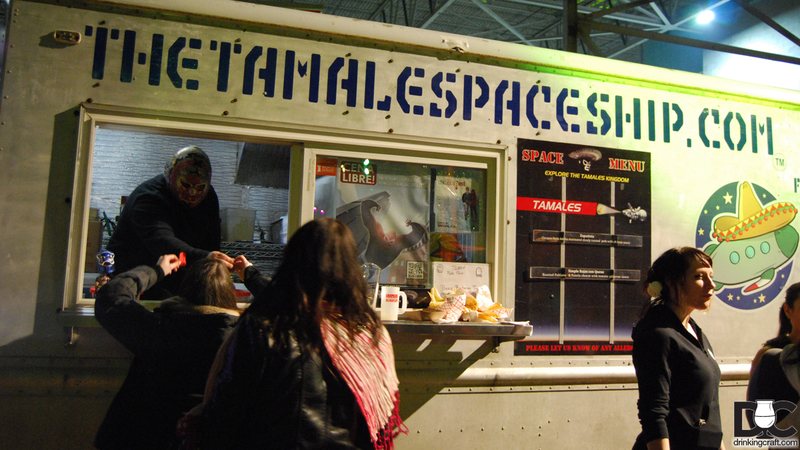 Along with Sheffield’s I also sampled goodies from Cheesies and The Tamale Spaceship. 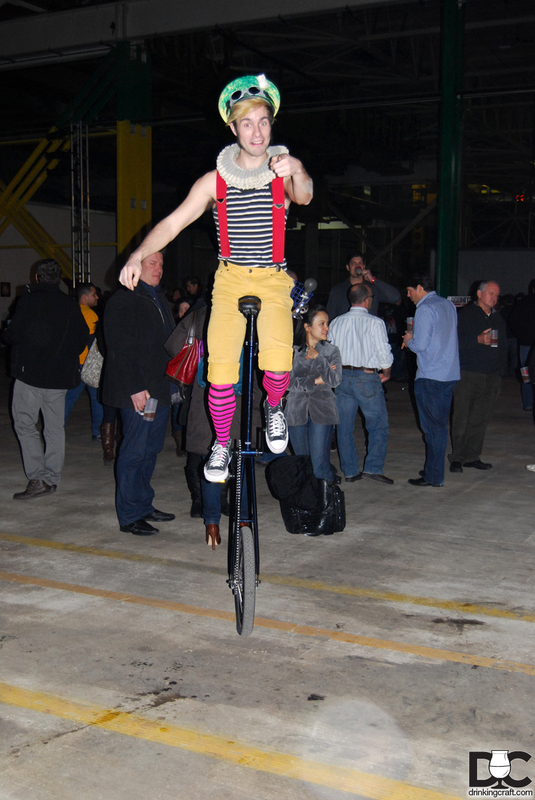 Besides just feeling fortunate to get to attend one of the first Lagunitas Chicago parties, I had a great time. I got to geek out with a lot of other beer nerds about lots of random beer stuff. We got to sample Lagunitas beer, and have some amazing Chicago food. There was no shortage of entertainment either, from bands taking stage, Tony Magee even playing with one, to random circus type acts of stilt walkers, belly dancers, fire throwers, trapeze artists, motorized keg service, and bubble blowers on Segways, there was a lot to check out. 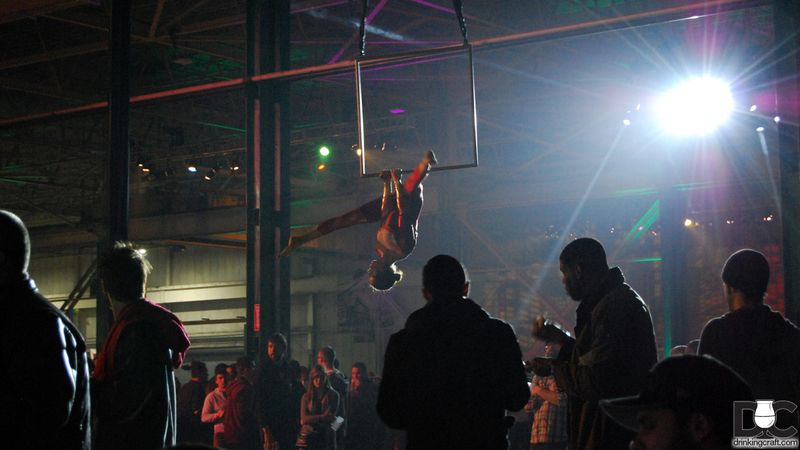 I have always felt that Lagunitas knows how to take care of their customer and this party was no exception. There was no charge for anything; there were plenty of port o’potties, hand-washing stations, delicious food, and even bottled water to make sure that every guest had a great time. They also made sure people were safe by offering free shuttles to the train station. Mom to the cutest kid ever. Chicago sports fanatic (except for the Sox). Craft Beer and Home Brewing enthusiast. Whovian. Marathon Runner.